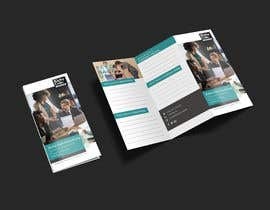 I need a double sided A4 trifold brochure. 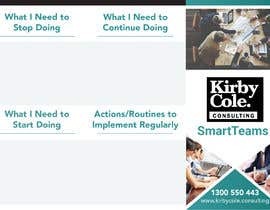 I am a business consultant who runs training courses and this single trifold brochure is a resource or handout I give out at training courses. I would like it to be professional conservative but also appeal to 25-year-olds! I would say hip but conservative. 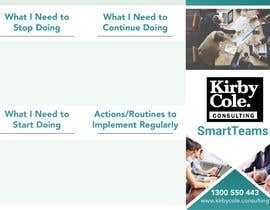 The successful person‘s work I will get professionally printed and then hand out at workshops for participants to write on. The attached file is what I use-we can add my logo later once I see your work. Hi, I'm working on it. Kindly wait for my entry. I will submit before the deadline end. Thank you. Entry #3 please comment if you have any changes or idea so i can modify. Do you have blank lines in the file - should something be written there? Hi- thanks. Not sure what u mean by incomplete? Hi. The file you sent is incomplete - please download the full file. And it would be good if you upload your logo at this stage. I'll wait for your updates.